You can give the Gift of Health to your family and friends this holiday season when you jump on this amazing opportunity! Need a last-minute gift? Want to take an early step towards your New Year’s resolution? Now through January 12th, 2016, new patients can schedule to receive their Initial Consultation, Complete Neurological Evaluation, and Report of Findings for a drastic discount! 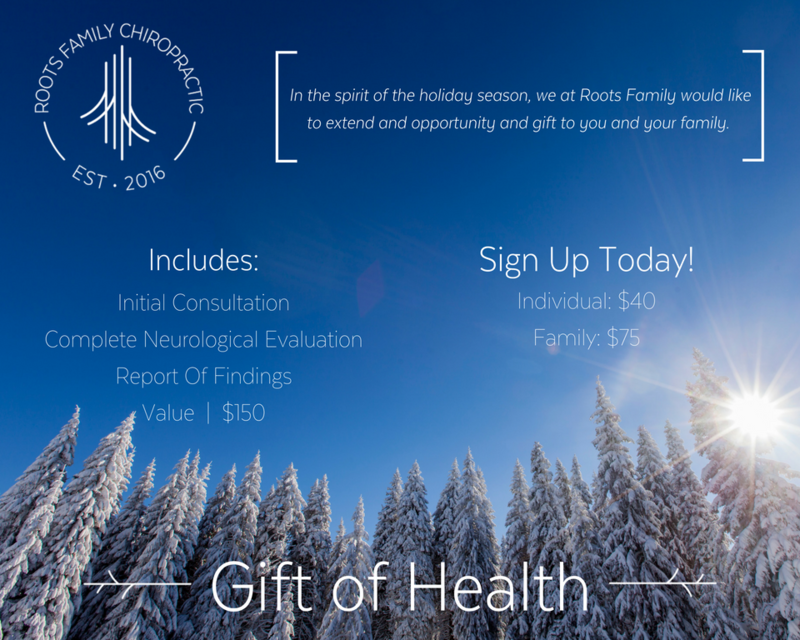 Since Roots Family Chiropractic is primarily a pediatric, pregnancy, and family-oriented office; we also have a Family Package to get the entire family checked! Call and reserve your family's spot today!